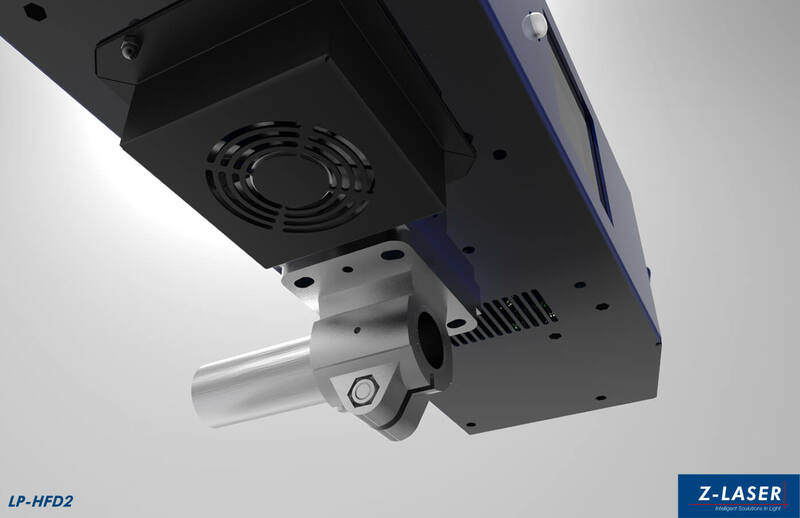 The LP-HFD2 is the successor of our proven LP-HFD laser projector. In addition to its new casing, and its IP65 protection class, special emphasis was placed on temperature stability during development. Fiber-coupled lasers with a red and/or green beam source, and an output power of 7 mW are used. 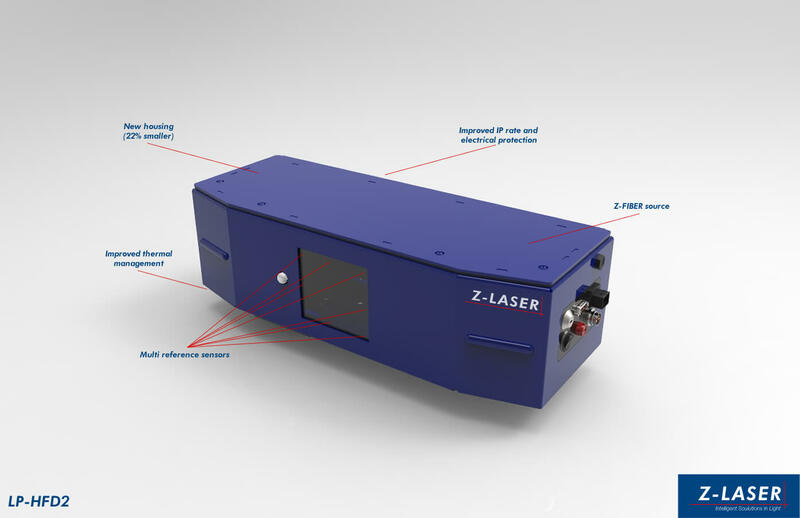 If required, stronger laser sources of up to 28 mW can be used. Standard focus optics can be achieved at a distance of 0.5 m to 7 m. With a Teleoptik, distances up to 14 m are possible. Cooling options such as a fan hose and water cooling are available for use at higher ambient temperatures. Ethernet is the typical data connection mode. In addition, communication via Profinet or a serial connection is possible. The LP-HFD2 is the successor of our proven LP-HFD laser projector. 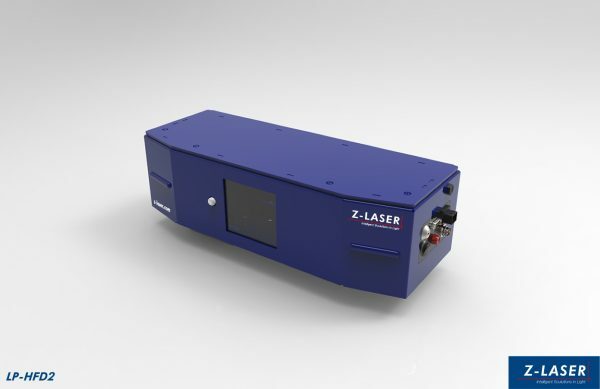 This high-power laser projector with a fiber-coupled laser source offers the highest projection accuracy. It is optimized for displaying 2D and 3D projections. Presentation of CAD data is easily doable with the enclosed LPM software. Coupled with the laser projector, it can also be used as a multi-projection system. Fiber-coupled lasers with a red and/or green beam source, and an output power of 7 mW are used. If required, stronger laser sources of up to 28 mW can be used. Standard focus optics can be achieved at a distance of 0.5 m to 7 m. With a Teleoptik, distances up to 14 m are possible. 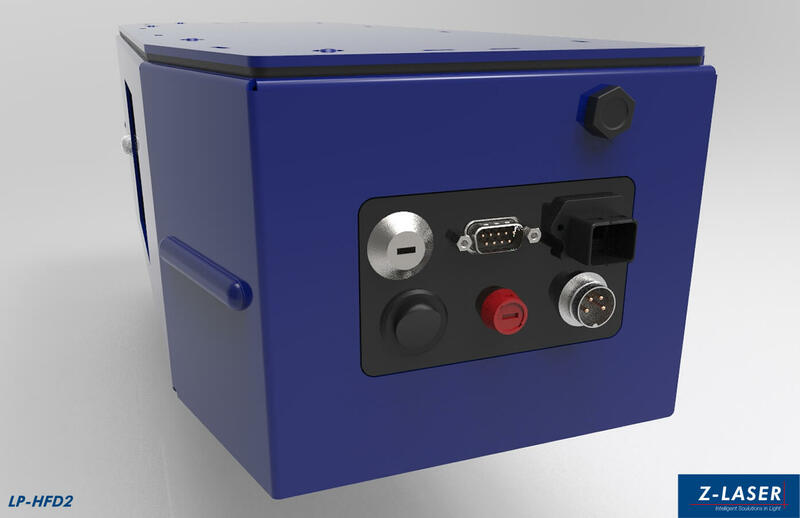 The laser projector is also available in a multicolour version (an RGB laser). In addition to its new casing, and its IP65 protection class, special emphasis was placed on temperature stability during development. 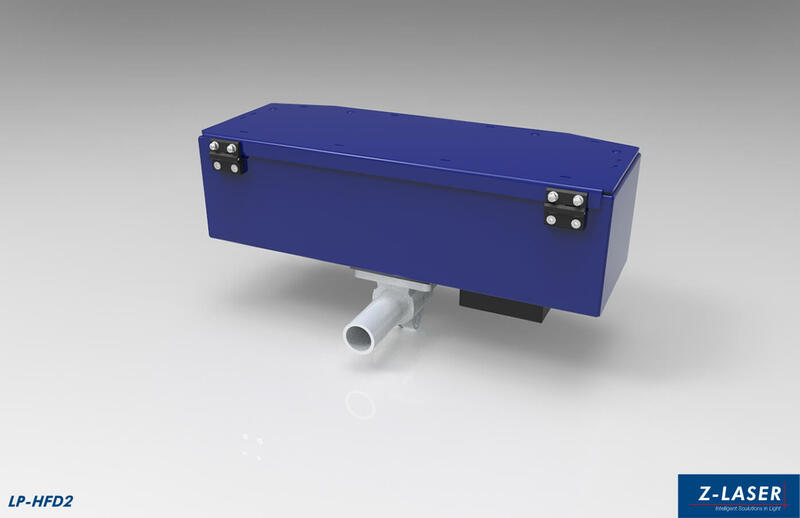 Cooling options such as a fan hose and water cooling are available for use at higher ambient temperatures. Ethernet is the typical data connection mode. In addition, communication via Profinet or a serial connection is possible.